Hoşap Kalesi (from Kurdish Xoşab; en. beautiful water) is a castle ruin near Güzelsu, a village 60 km from Van. The Turkish name of the village also means "beautiful water". The castle was built in 1643 by the Kurdish prince Mahmudi Süleyman according to the inscription at the entrance of the inner castle. The castle was built on the remains of a Urartian fortification. It was closed in 2008 due to dilapidation, but was extensively restored and reopened in 2009 and 2010. The ruin is currently a popular destination for excursions. Originally, the castle complex included two mosques, storerooms, several baths, more than 300 rooms and a dungeon. 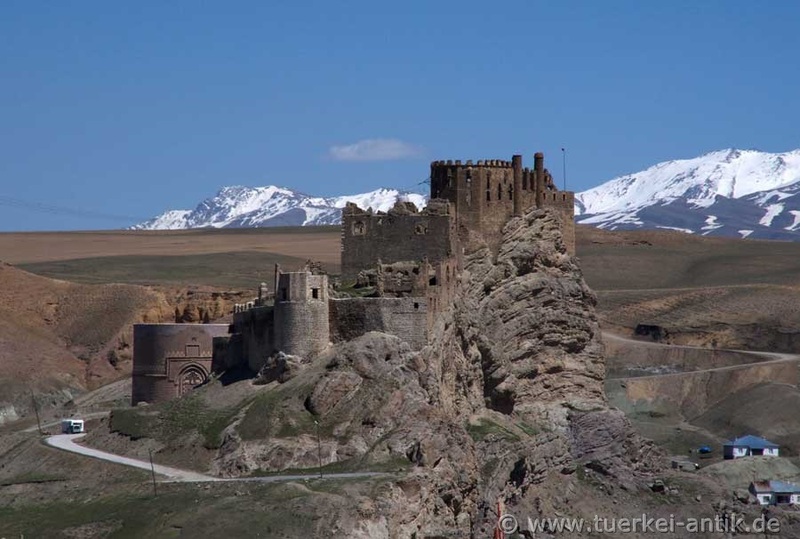 In the novel "The Ararat Legend" by Yaşar Kemal, the two main characters Ahmet and Gülbahar find refuge from the Pasha at the castle "Hoşap".